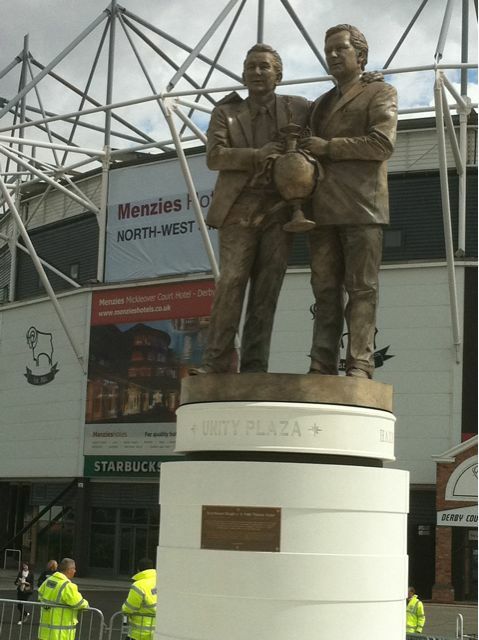 28 | August | 2010 | Through the seasons before us..
Derby’s Clough and Taylor statue.. It looks great – much better in person than the pictures I’ve seen online. I can’t help but have the impression that Clough looks a bit older than he should for his time at Derby, but just as at Middlesbrough and Nottingham the likeness is unmistakable. 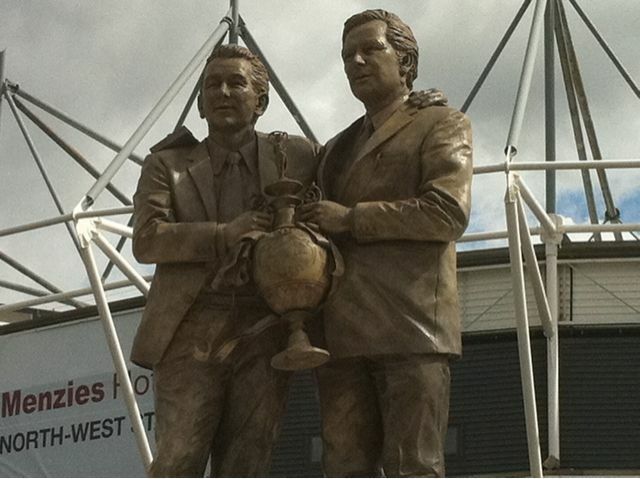 Peter Taylor stands beside him, and with their arms about each others’ shoulders they hold the Division One Trophy between them – elevated on a nine foot plinth in Unity Plaza. 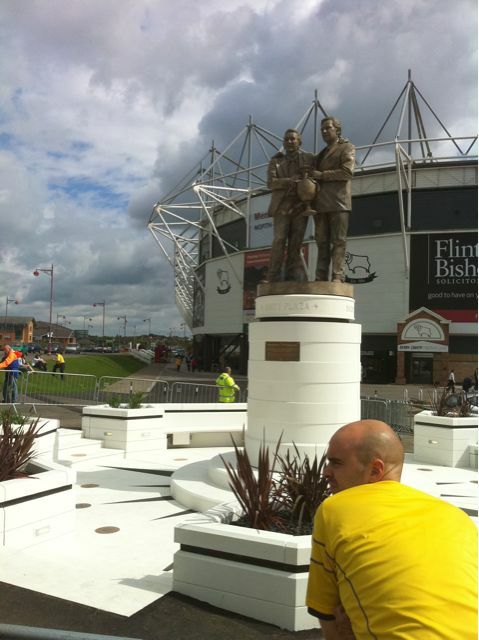 With a compass style arrangement beneath pointing to notable football landmarks including our very own City Ground. 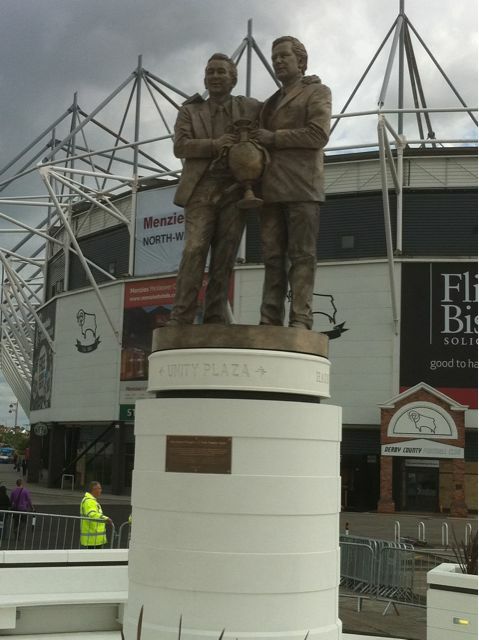 Definitely worth popping down Brian Clough Way to see – it’s just the kind of effigy Forest should have commissioned – obviously both men a little older and holding a different trophy. Huge congratulations to everyone involved in making it happen, it’s a monument to be proud of. I don’t imagine the attached pictures do it justice, but they’re there for what it’s worth – now back to Nottingham we go to hopefully see off the Canaries!